Engaged in manufacturing and supplying of promotional designer t-shirts, promotional bags, wooden gift items, corporate gift items, promotional gift items, corporate gifts, promotional items, promotional t-shirts. Manufacturer and exporter of a wide range of inflatable products like custom shaped cold air inflatables, giant characters inflatables, giant inflatable animals, inflatable designs, inflatable props, giant themed inflatables, product replicas, giant inflatable globes, rooftop balloons, custom and standard tents, interactive inflatables, etc. 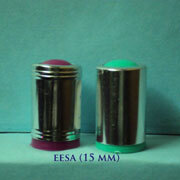 Manufacturers & exporters of corporate gifts, promotional pharma gifts. Manufacturers & exporters of destkop accessories like pen stands, table sets, wall beauty collection, multipurpose household, table beauty collection, torchs, promotional scheams, pharma specials, corporate collection, etc. Mushkis Creations are suppliers of gifts and novelties, bracelets. Manufacturer and exporters of all type of gifts like barbie dolls, barbie furniture, camera, cakes, chocolates, crystalware, cosmetics, digital diary, electronics, flowers, gift hampers, gods photos, greeting cards, hair dryers, home appliances, kids watches, etc. Wholesalers, manufacturers and suppliers of promotional diaries, promotional calendars, corporate gifts, promotional corporate gifts, sporting gifts, executive gifts, promotional executive gifts, glass gifts. Leading manufacturer and exporter of promotional designer t-shirts, promotional bags, corporate gifts and promotional items, corporate gift items, promotional gift items, promotional t-shirts, wooden gift items. Manufacturers, suppliers and exporters of glass gifts, sporting gifts, executive gifts, corporate gifts, promotional corporate gifts, promotional diaries, promotional calendars, promotional executive gifts. Engaged in manufacturing and supplying of corporate gifts, key rings, cheap corporate gifts, cheap promotional gifts, wooden corporate gifts, cheap customised gifts, wooden promotional gifts, cheap wooden gifts. We are providing led display boards, acp boards, flex boards, acrylic letters, steel letters, engraved letters , led crystal frame, all type of advertisement solution. Involved in manufacturing and exporting of corporate leather gifts, promotional wallets, corporate gifts, promotional gifts, corporate steel gifts, executive planners, executive diaries, wooden coasters, corporate wooden gifts, promotional key chains. Leading manufacturer and exporter of corporate gifts, business promotion products, promotional products, promotional cap, promotional gifts, promotional mug, promotional t-shirts, promotional shirts, coffee mug and conical shape mug. Manufacturers, suppliers and exporters of promotional key chains, executive planners, corporate gifts, promotional gifts, corporate steel gifts, corporate wooden gifts, corporate leather gifts, executive diaries, wooden coasters, promotional wallets. Leading manufacturer and exporter of corporate gifts, promotional gifts, corporate steel gifts, corporate wooden gifts, corporate leather gifts, promotional wallets, promotional key chains, executive planners, executive diaries and wooden coasters. Swiss Military Products S. A.
Foshan Weld Industry Co., Ltd.